After a break, I am back... and now in Iceland! 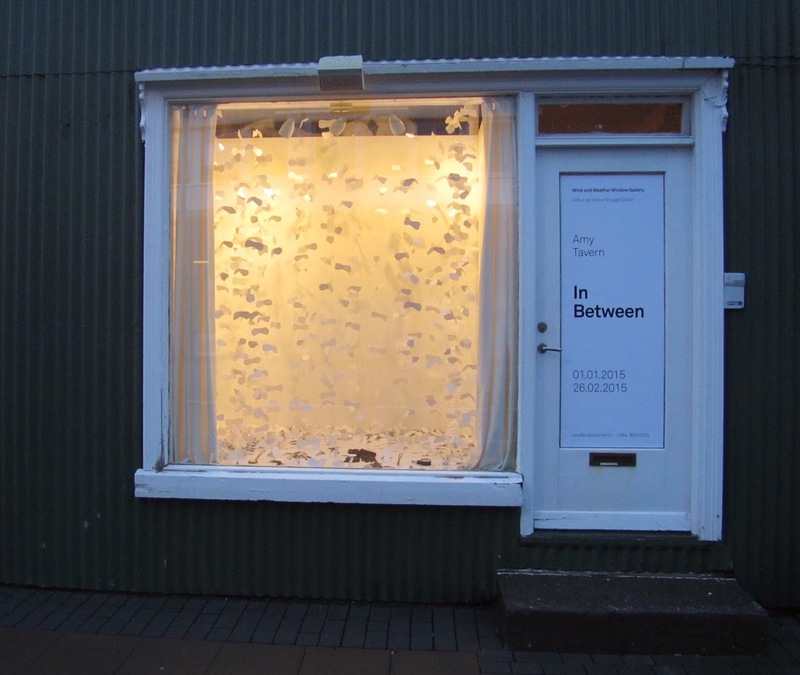 I arrived on December 30 at 6:45am, took a two-hour nap once I got to my friend's place, and then started installing "In Between" at Veður or Vindur, or Wind and Weather Gallery, in downtown Reykjavík. The gallery is a window gallery and the exhibitions are viewed from the sidewalk or street. 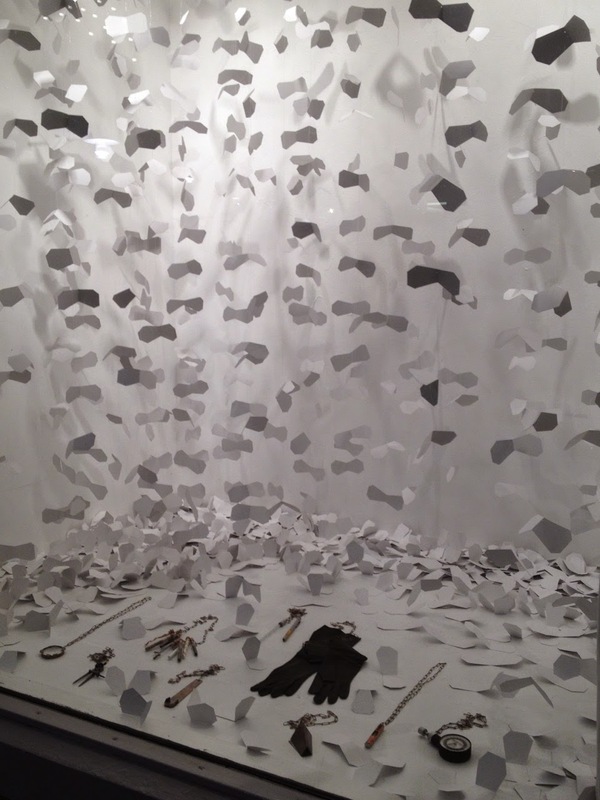 The work is always on display so visitors can stop by anytime, day or night. I really love this about this unconventional space: the work is accessible to everyone, which feels important and exciting to me. It took me three days to install with the help of a friend on one of those days. I had prepared some in my studio in the US which was very helpful, but deliberately chose to do just a little in advance. Even though I'm familiar with the gallery, I had no idea how "In Between" would work there. I think it's best to be as open as possible in situations like this and I wanted to allow the piece to take a new form in the new space. 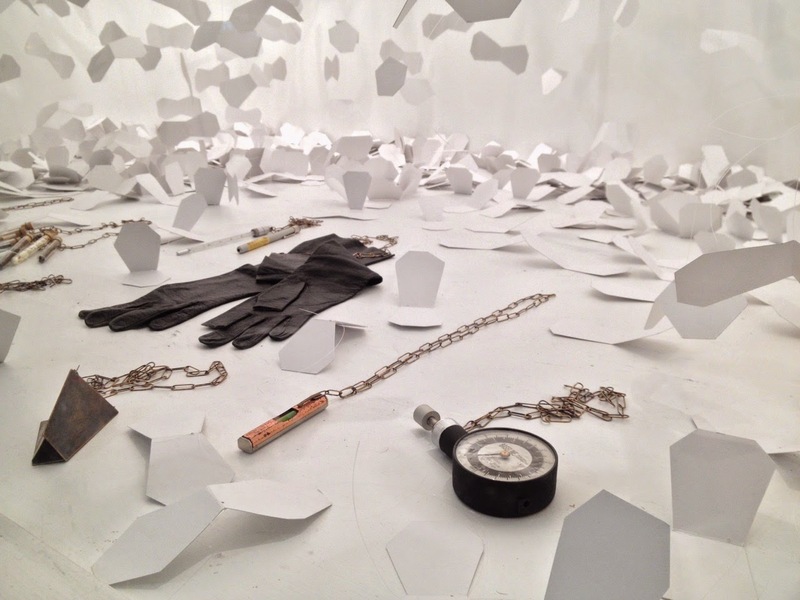 I'm so pleased with the new version and to be exhibiting at this gallery, and in Iceland! What a great way to start the New Year! 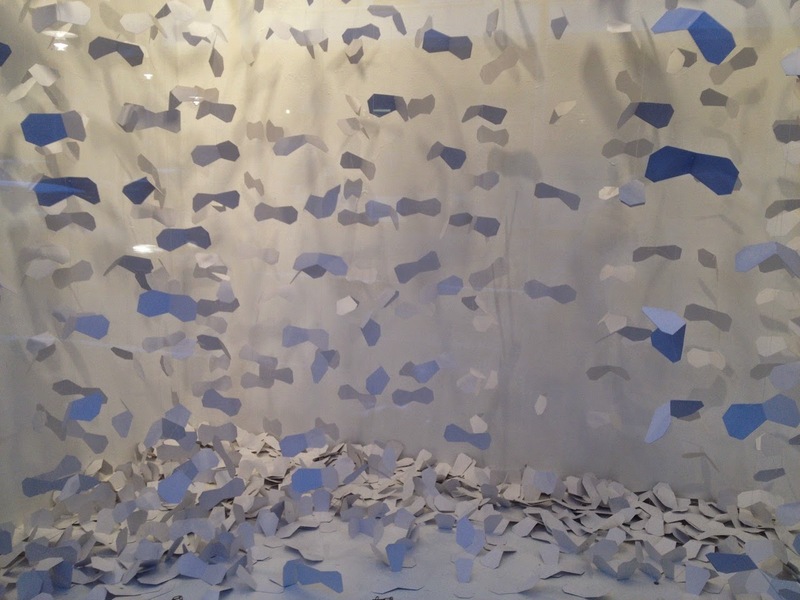 "In Between" is on view through February 26. The gallery is located at Hverfisgata 37, 101 Reykjavík. Please also visit Wind and Weather on Facebook, as well as its sister gallery, Better Weather.